Check out all the fun things we are up to in our events page. Remember, cheese makes a party good! We have had such fun collaborating with our friends at Jekyll Brewing and Fermented Wine Boutique we are making our pairing sessions a monthly event. Please see details below and follow us on Facebook and Instagram for other inspired outings with our local business partners. 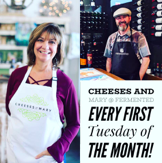 Join Adam and I as we team up on the first Tuesday of every month for an Artisan Cheese & Wine Pairing. Reservations are recommended. To reserve your spot, click here. Hostess with the Hostess Charcuterie Board Workshop with AR Workshop Tuesday, April 23., 6:30 - 9:30. Create your own Pedestal Tray, Wood Plank Tray, or Lazy Susan Tray while sampling and savoring a selection of our award winning artisan cheeses. Learn how to create your own cheese and charcuterie board at home. Click here to sign up. Posted on April 2, 2019 by mary mayer. leave the work to Team Cheeses. We offer custom gift boxes (we pack & mail), Cheese plates (48 hour notice appreciated/drop off your plate) and one-of-a-kind finds to suit even the most discriminating palate. Please see our website, www.cheesesandmary.com, for themed gift box suggestions: Flavor of Georgia; Taste of Georgia (without cheese); Eat a Peach, Georgia; and The Grill Box. New this year, white ship ready boxes perfect for gifting Georgia cheeses to family and friends. 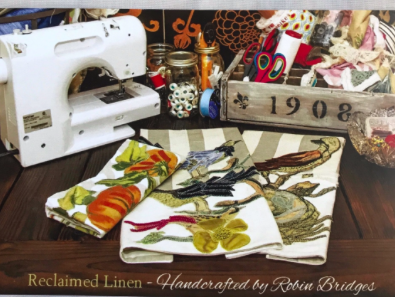 All mail orders must be received by Monday, December 5th and will ship by Tuesday, December 13th. We will not ship after the 13th. We kindly, gently request that you pre-order your cheese selections. Our cheesemakers have been known to sell out. Let's work together and keep disappointment off the menu. Posted on November 28, 2016 by mary mayer. Sip! Sample! Savor! & Shop! Please join Cheeses & Mary, Hello Lovely and Blencoe & Co. Photographic Arts as we join together in celebration of YOU!! our fabulous friends & loyal customers! Cheeses & Mary will be sampling our Holiday cheese selections. Hello Lovely is offering 20% off, door prizes and more! Our doors will be open from 10:00 am until 7:00 pm. Cheeses & Mary will be closing at NOON on Wednesday, 11/23. We will be closed on Friday, 11/25 and will reopen for Small Business Saturday, 11/26, from 10:00 - 5:00 and Sunday, 11/27, from 12:00-4:00.
must be received by Saturday 11/19. Posted on November 15, 2016 by mary mayer. "Gratitude can transform common days into Thanksgiving"
Thanksgiving is a blink away, deep breath!! Simplify your to-do list for the big day with a Cheeses & Mary cheese platter. Our carefully curated selection of artisan and farmstead cheeses are sure to ignite the gratitude palate of your family & friends. To ensure availability we are taking pre-orders for prepared cheese plates and individual cheese selections. Our prepared cheese platters range in price between $3.50-$8.50 per person depending on your selections and accompaniments. We offer disposable platters but prefer our customers drop off a treasured plate or cheeseboard ahead of time and let us do the arranging. All cheese plates must be picked up by 12:00 on Wednesday, November 23rd, so we may spend time with our family celebrating this great American Holiday. For more information, please call Mary 678-558-1414. Toma - buttery flavor with subtle, grassy- tang; Toma is perfect for snacking or melting into your favorite dish. Tubby - Alpine-style from Spring Brook Farm, VT, is traditionally handmade in a copper vat and washed in brine for one year to encourage the development of beneficial microflora. Tubby’s paste is bright yet brothy with a rind like crunchy peanut butter that will leave you craving another bite. Bismark - cheddar/Pyrenees-style hybrid. It is savory, sweet, and yogurty, finishing with notes of candied hazelnut. Trifecta - Trifecta is a mixed milk triple crème made in New York State’s Hudson Valley. This funky cheese is washed in Wandering Bine Saison from Three’s Brewing in the Gowanus neighborhood of Brooklyn. The series of beer washes adds notes of turnip and mushrooms. Naked Pruner - soft ripened sheep’s milk cheese. The cheese is allowed to ripen in the cave for a few days before washing it in Double Negative, a stout brewed by Grimm Artisanal Ales. Bufarola - Our only imported cheese, Bufarolo, is hand made at the Gritti Family Farm in Bergamo, Italy, then shipped to Crown Finish Caves in Brooklyn to age. Bufarolo develops an ambient, silver natural rind, which contributes a mushroomy earthiness to the bright, lemony, decadent paste. Capra Gia - Savory & Sweet Samplers. Grateful, Thankful, Blessed, Indeed! Fabulous Hostess Gift or presentation piece for your cheese selections. Posted on November 3, 2016 by mary mayer. Crabapple Fest was Saturday and what a grand and glorious day it was! Thanks everyone for coming out and supporting our community! Introduce Cheeses & Mary to a new friend and you both will receive 10% off your purchase during the month of October. Whey cool, right! We are working hard to bring previously undiscovered award wining cheeses to our shop. We continue to support our local cheesemakers and the blended result has made for some unique and delicious cheese plates and plain 'ol good noshing. October is a great month to discover what's new at Cheeses & Mary! Posted on October 3, 2016 by mary mayer. Can you hear the AMEN! Capra Gia Cheese Co. has taken their talent to the next lofty level and is creating lovely aged goat cheese. San Miguel, earthy & mushroomy; Bella Provence, Herbs de Provence; That Bloomy Goat, bloomy rind, rich buttery & mild; Pine in the Ash, aged in ash. We remain stocked on savories, both sweet samplers: lemon, peach, cranberry and chocolate cherry, chocolate chip and cappuccino and honey fig. Sequatchie Cove took third place at The Amercian Cheese Society (ACS) with both Dancing Fern (inspired by the raw milk Reblochon-style of France) and Shakerag Blue (encased in whisky-soaked fig leaves). We are honored to offer both as well as Bellamy Blue (Alderwood smoked salt in rind), Nickajack, (named after the famous Nickajack Cave where Johnny Cash's life took the "right" turn, washed in hard cider, the cheese not Johnny!) Coppinger, shown in the photo above, Morbier style and Cumberland, a raw milk tomme. BeeHive Cheese Co.'s Barely Buzzed won yet again!!! at ACS. It is a customer favorite and the combination of espresso & lavender never fails to jazz up a cheese plate. You'll find Aggiano, Apple Smoked Walnut, Promontory with Rosemary and Sea Hive in our cheese case as well. Pretty Pefect's Aged Cheddar with Jalapeño & Pimento is a shop staple. Love it on burgers, sweet potatoes, with eggs or just on a Triscuit. Too Busy filling out forms, packing lunches, buying school supplies??? Order a cheese plate for dinner and leave the relaxation to us!